Imagine the adrenalin as you look down from a plane 10,000 feet up and prepare to jump! Imagine free falling at 120mph through the air with your instructor before opening your chute and drifting down over the beautiful Perthshire countryside! The Rangers Charity Foundation’s tandem skydive challenge is an experience not to be missed and is also the chance to raise funds for worthwhile causes and receive a True Blue Hero’s medal from a Rangers first team player! The skydive will take place at Strathallan Airfield near Auchterarder in Perthshire. For the tandem skydive you will be connected via a harness to a fully qualified tandem instructor. The instructor will guide you through the whole jump from exit through freefall, piloting the canopy and landing and you will receive all the instruction you need on the day of the skydive. No prior experience is necessary. 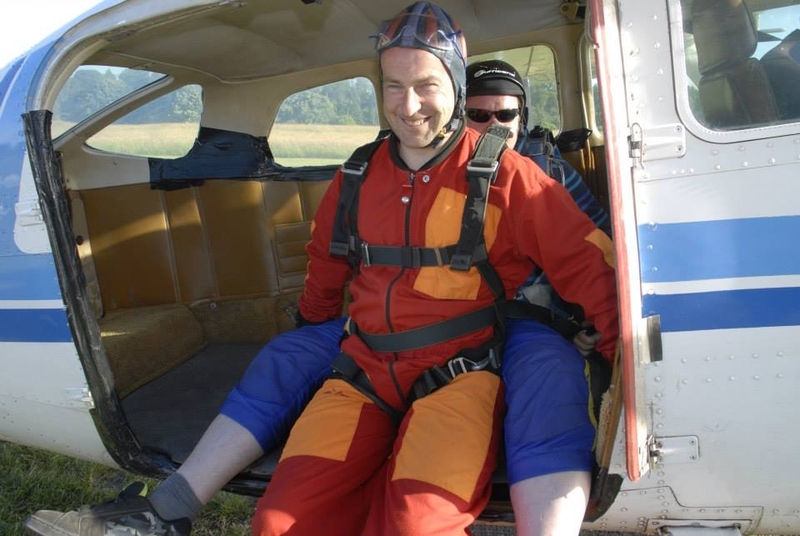 You can pay for the cost of the Rangers Charity Foundation tandem skydive yourself and raise a suggested £250 in sponsorship for the Foundation. To watch a video of a tandem skydive at Strathallen click here. You can also see some photographs from our Rangers Charity Skydive in 2013 here. Please note that participants must be over 16 years of age and under 49 and weigh less than 14 stone. Participants are required to complete an Indemnity Form and a Declaration of Fitness Form. If you are over 40, your medical form should also be signed by your GP. If you are aged between 16 and 18 years old, you must gain the consent of your parent or guardian.